The oldest known drawing of a Chartist rally has been uncovered by RIN member Ian Haywood, after lying untouched in a sketchbook in the US Library of Congress for more than 175 years. The pen-and-ink sketch from 1839 by Englishman Richard Doyle shows dozens of supporters being strong-armed by the Metropolitan Police who broke up the event. Officers were sent to the Bull Ring in Birmingham by the Government to bring an otherwise peaceful event in favour of political reform and social justice under control. 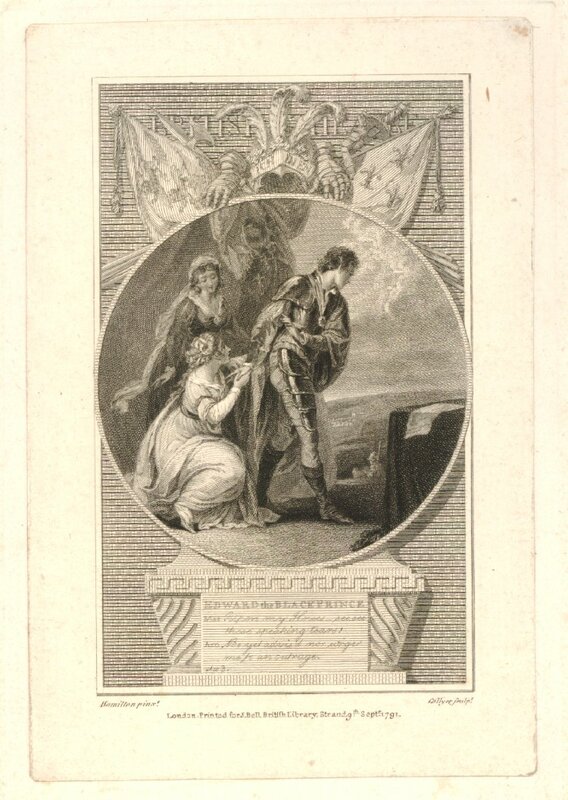 Doyle did not publish the image as he was only a teenager at the time, although he later went on to become an illustrator for Charles Dickens. There were no ‘respectable’ outlets for visual representations of current affairs in the late 1830s – neither the mainstream press nor the Chartist newspaper The Northern Star were able to publish illustrations at this time, and the famous satirical magazine Punch, for which Doyle later worked, was not launched until 1841. This is why Ian Haywood’s discovery of the drawing is so important to modern understanding of Chartism. The drawing gives an insight into how observers at the time perceived the movement and the state’s response to it, several years earlier than previous records. 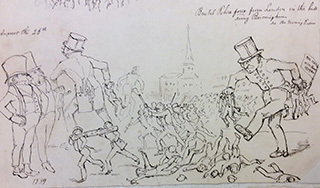 This image depicts in caricature form police brutality against peaceful, unarmed protestors in July 1839: the police and the authorities are depicted as giants wading into to the demonstration, kicking, scattering and grabbing Chartists by the handful. It is one of dozens of images in the sketchbook depicting open-air political meetings which suggests Doyle had a strong interest in contemporary events.